Would female roles in Telugu cinema have been better if the actresses could speak the language? Like with most industries, the Telugu film industry began its journey with films rooted in mythology. Bhakta Prahalada and Kalidas (1931) were stories told since aeons, adapted to a new format. These films were not unlike the annual ‘parayanam’ organised during festivals – you went with your family to watch a rendition of a mythological classic. With the waters tested in the mid-30s, Telugu producers began to look for stories beyond mythology. Social reform, nation-building, and in a shy, coquettish manner – love – began to enter the dark, magical halls that had captured the nation’s imagination. The earliest female superstars of the industry were thespians who had transcended from stage to screen. Actresses well-versed in acting, singing and dancing who were making the natural progression. What set cinema apart from its theatre and folk cousins though, was its dependence on technology. Plays and recitals could have existed since centuries, but the nature of films changed every few years. Playback technology ensured that stalwarts like Susheela and Janaki could provide their voices to heroines, reducing the emphasis on singing. It was in this era that acting skills assumed primary importance in an actress’ repertoire. Actresses like Savitri had Telugu audiences swooning to their acting abilities. Sly smiles, witty retorts and batting eyelashes replaced Bharatanatyam routines. 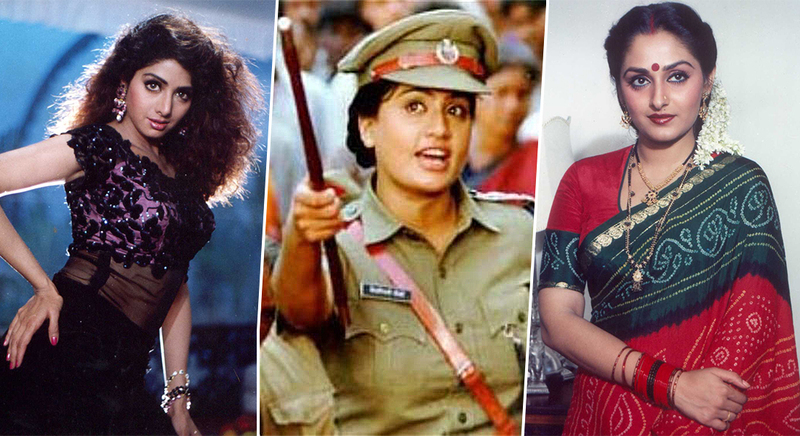 By the 80s, the Telugu heroine was completely unrecognisable from her contemporaries from two decades ago. Films were shot in colour, based in exotic locations, and audio soundtracks were sold in the market. It was the 80s that liberated the Telugu heroine from the four walls of love, stigma, dowry and reform. With a firm emphasis on glamour, this was the era when she ran into the roads on rainy nights. Social messages were entwined with white sarees and wet fantasies. Pigeons and grapes filled in the ranks for the birds and the bees. Actresses like Sridevi and Jayaprada were not only immensely popular among Telugu people, but across the nation. They romanced India’s biggest superstars across the Telugu, Tamil, Hindi and Malayalam industries. This was truly the golden decade for Telugu heroines, as they could be seen serenading Amitabh Bachchan one Friday, and critiquing a social evil with K Vishwanath the next. It was in this era that Vijayashanti first began to establish herself as a force majeure in the Telugu film industry. With Sridevi and Jayaprada having firmly established careers in Bollywood, Vijayashanti took on the mantle of the female superstar. But she did something that her predecessors could not – take on a film singlehandedly. Vijayashanti was more than just shy and loving, she was fierce and fiery. Vijayashanti’s films did not require a male superstar – she could bash up the baddies herself. Portraying characters who were police officers, judges and vigilantes, Vijayashanti earned the title of ‘Lady Amitabh’ and quickly became the highest paid actress in the south. If there was any chink in the glittering armour, it was that Vijayashanti did not possess what was considered a ‘sweet’ voice. Heroines in Telugu cinema usually wielded a voice that was cute, innocent, flirty. Vijayashanti’s voice in films were provided by artists like Sarita, Rohini and Roja Ramani. It is not difficult to see why producers would resort to dubbing. If the actors were busy, or unable to speak the language fluently, technology allowed somebody with a better grasp and fluency to record over the lines. Among male stars, Mano dubbed for Rajinikanth for decades and became his voice for Telugu masses. SP Balasubramaniam was the pathos-filled voice of Kamal Hasan for several films. Dubbing saved producers the hassles of money and time. For the film Mugguru Monagallu, Roja Ramani provided the voice for all the three heroines – Roja, Ramyakrishna and Nagma! In this phase, Vijayashanti continued to grow in stature, and her voice was consistently dubbed for by several artists. Slowly but surely, dubbing became the norm. When actresses like Tabu, who was born, raised in Hyderabad and familiar with Telugu, did not dub her movies, it was futile to expect other heroines to do so. This was unique to Telugu cinema because in Tamil and Malayalam films, it was imperative to pick up the language. Gradually, the role of the heroine could be easily segmented into four scenes and three songs. There was the meet-cute, the pursuit, the fight, and the tearful reunion. Among songs, there was the stalking song, the love song, and the breakup song. Go through the biggest hits in Telugu cinema in the last two decades, and you’ll find the heroine is merely an hourglass-shaped cardboard cut-out. Doing a Telugu film is akin to a paid holiday for the heroines. Sign a film, travel to Ramoji Film Studios, wrap up the shoot in a month, pocket a decent amount and leave. Actresses like Sonali Bendre and Twinkle Khanna, whose careers in Bollywood barely took off – delivered huge blockbusters in Telugu cinema. You could replace the actress in any of the movies, and it wouldn’t make a difference to the plot. Today, none of the top heroines in the Telugu film industry speak the language. The roles are all coquettish and replaceable. Even films that supposedly push the envelope like Arjun Reddy and C/O Kancharapalem have no real female characters that stand out. One wonders if female roles in Telugu cinema would have been better if the actresses could speak the language. If dialogues were written for actresses keeping their repertoire in mind, rather than middle-aged men writing what they think women think like. Telugu cinema might be the second biggest industry in the country, but our films are no patch on the work that is being made in Tamil and Malayalam industries. And it makes sense – if the heroine – the second most important character in a film – cannot speak the language, has no clue what she’s saying, and is easily replaceable – you cannot expect Orson Wellsian output. One will never know for sure, but it wouldn’t be far-fetched to say that dubbing in Telugu films has contributed significantly to the death of the Telugu heroine. Southern Lights: Are Tamil-Speaking Heroines Doomed In Tamil Cinema?